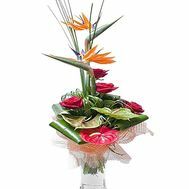 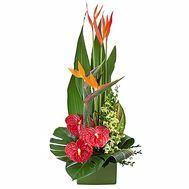 Men's bouquets of flowers are a real work of floristic art. 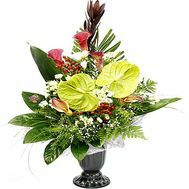 For the design of such a presentation, only florists with a huge work experience, who know exactly what the strong half of humanity wants, take. 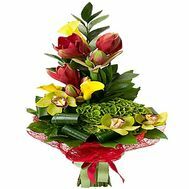 An unusual male bouquet is a gift that will be enjoyed at any holiday and at any age. 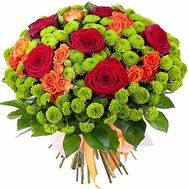 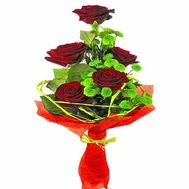 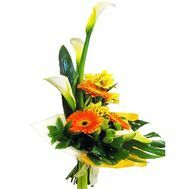 Today, flowers for men are the same thoughtful and popular gift, as for women. 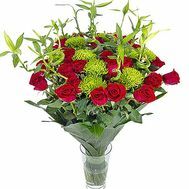 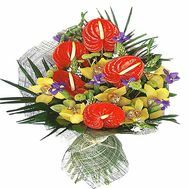 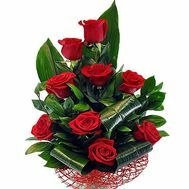 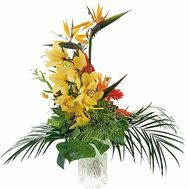 Calm, consistent colors in the gift will help every man feel loved and desired, give confidence and bring a good mood. 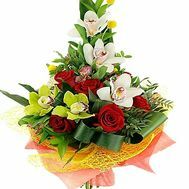 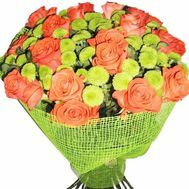 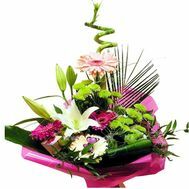 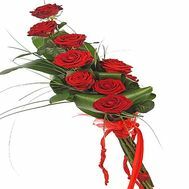 Buy a bouquet of flowers for a man, in case you are not at all sure what to give or you want to pleasantly surprise the recipient. 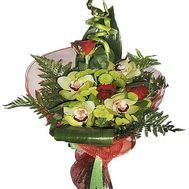 Small or large, such a gift will definitely stay in the heart and make the holiday memorable. 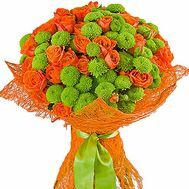 Flowers for men: what is it and what is their purpose? 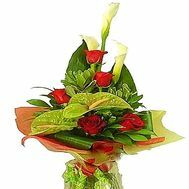 Men's bouquets in the modern world are just as common as women's. 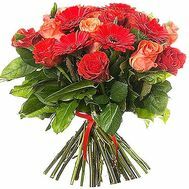 With the help of such gifts, colleagues, bosses and even beloved men are congratulated. 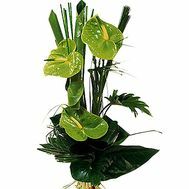 Such gifts always bring joy, are universal for a person of any age and any hobbies. 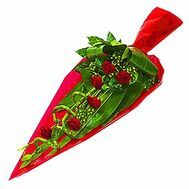 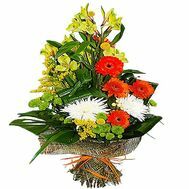 A tasty, smelling, modest and strict floral gift will look great against the background of others, to whom you would not present it . 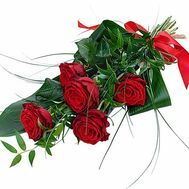 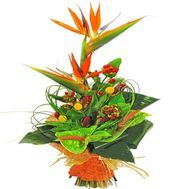 Strict men's bouquets: a present intended for men, is carried out by our professional florists with special care and attention. 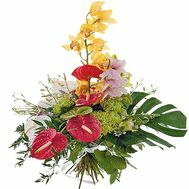 The color scale and the grade of flowers are selected individually for the needs of the client. 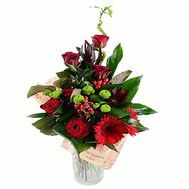 That's why our presents are so highly appreciated! 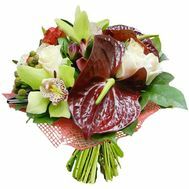 Here you can buy a bouquet for a man for a jubilee, having handed it to his own father. 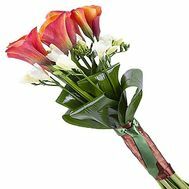 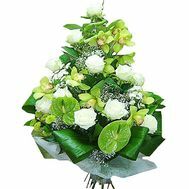 Also, a bouquet for a man on his birthday is suitable for congratulating his beloved brother with his help. 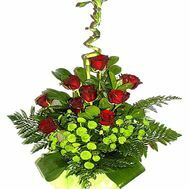 And order a man's bouquet of roses for the most beloved and the most necessary - husband's for Valentine's Day. 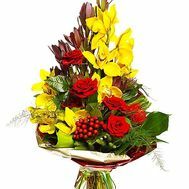 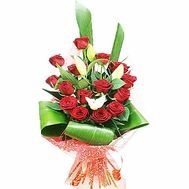 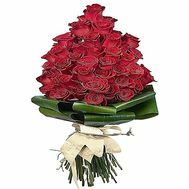 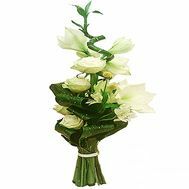 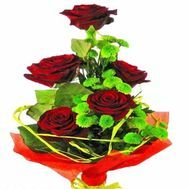 Where to order flowers with 100% quality guarantee? 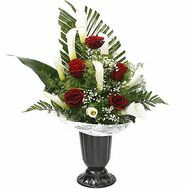 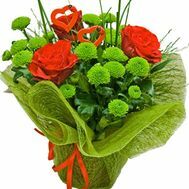 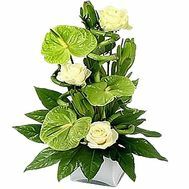 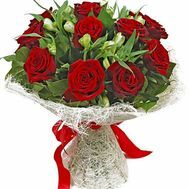 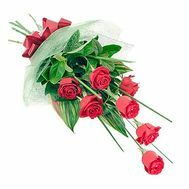 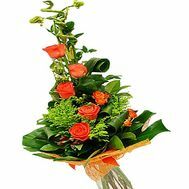 In our store you can find a huge flower catalog, and also we provide free delivery of flowers to any large city of Ukraine. 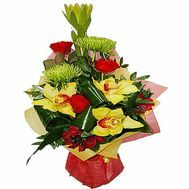 Delivery by courier can be issued at the time of order, indicating the place of delivery: home, office or any institution. 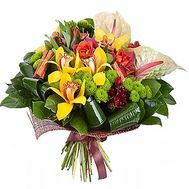 Delivery of bouquets our store produces every day, including weekends, and they all find their recipients, making them happier. 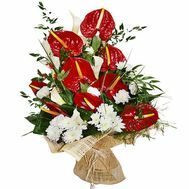 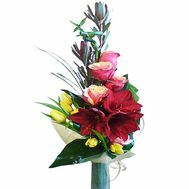 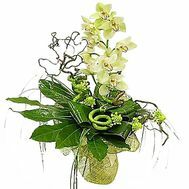 Bouquet with delivery from our store - the best gift for the holiday!